That is a trick question, of course. Should you find yourself in any sort of underworld, and/or in Faerie, it’s best not to eat anything at all. The old stories are quite clear on that point. Probably the most famous example is that of Persephone, who is obliged to spend part of every year in the underworld because she ate a pomegranate seed there. Food is a medium of communication between the world below and the world above. To be in a world—to see it, to speak to its inhabitants—is to be of that world. The food of the underworld is part of the underworld, and makes the eater part of the underworld too. Conversely, food allows the dead to become, temporarily at least, part of the world above once more. When Odysseus wants to speak to the dead, he pours a libation of milk, honey, wine and water, and sprinkles barley meal over the whole mess, praying to Persephone, among others. What really draws the dead to him, though, is sheep’s blood that he lets run into a pit. The seer Teresias will only speak to him after drinking the blood. Red wine and honey were also in the jars sent along to the afterlife with King Tutankhamun in Egypt, who could also choose from a variety of mummified meats slathered in tree resin. In an underworld, food isn’t just about communication, status and sustenance. It’s often about torment. Hel, the ruler of the Norse underworld, has a plate called Hunger and a knife called Famine. Tantalus stole nectar and ambrosia, and murdered his own son to feed him to the gods. His punishment is to stand in water, with a fruit-laden branch over his head, just barely unable to drink or eat. In Dante’s Inferno, a nobleman named Ugolino (who may have eaten his children’s bodies in the final throes of his own starvation) is frozen in a pit next to the man who betrayed him, forever gnawing on his enemy’s head. He is both tormentor and the tormented. 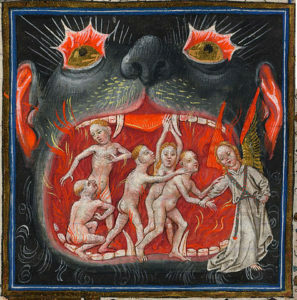 Hell was one of several medieval examples of a “topsy-turvy world”, writes Herman Pleij in Dreaming of Cockaigne: Medieval Fantasies of the Perfect Life. If you ate too much, or committed some other food-related sin such as cannibalism, your punishment in the world below would be to become food yourself, to be denied food, or to be forced to eat unclean or disgusting food. Gluttons would be punished by being made “to suffer such terrible hunger and thirst that they eventually beg for hay, dregs of wine, and finally excrement and urine” before being served the meat of toads or even dragons. Sometimes, the residents of Hell punish themselves. In the allegory of the long spoons, the residents of Hell are unable to get the food to their mouths because their spoons are too long; in heaven, the same spoons cause no difficulty, as people there are kind enough to feed each other. I had some ideas, then, for what sort of food would be right in my medieval European Hellbeast. Something that would be of the underworld, not just in it. Something red, to recall pomegranates and wine. Something that would be a little horrifying to the world above. Something that recalls the sacrifice Odysseus made, when he needed to bridge the world of the living and the dead. And for practical reasons, something that would be available in those long centuries when the Beast is dormant under the earth. I’m sorry to say that what I came up with is the blood of the Beast itself. The denizens of Hell drink it, and they eat it, in the form of glittering balls that look a little like caviar, or like pomegranate seeds. This is not a meal I can endorse, as a vegetarian. As a substitute, might I suggest some pomegranate tapioca? 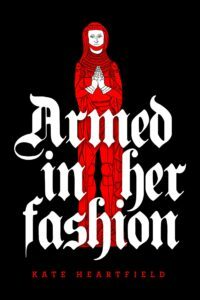 BIO: Kate Heartfield’s debut novel Armed in Her Fashion (CZP) is available as an ebook as of April 24, and as a paperback as of May 17. Her interactive novel The Road to Canterbury is now available from Choice of Games. Tor.com Publications will publish two time-travel novellas by Kate, beginning with Alice Payne Arrives in late 2018. 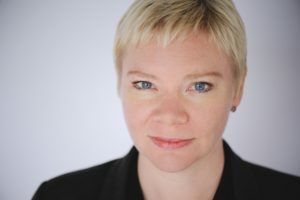 Her fiction has appeared in magazines and anthologies including Strange Horizons, Lackington’s, and Monstrous Little Voices: New Tales from Shakespeare’s Fantasy World. Kate is a former newspaper editor and lives in Ottawa, Canada. 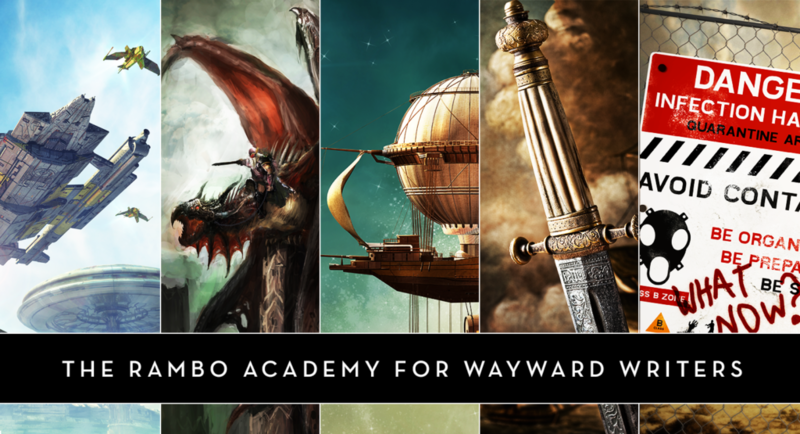 If you’re an author or other fantasy and science fiction creative, and want to do a guest blog post, please check out the guest blog post guidelines. This entry was posted in guest post and tagged armed in her fashion, guest post, kate heartfield, recipes. Bookmark the permalink.